To say that we should lose all objectivity is a nonsense. Without objective all hope is lost. We play constantly with scaring ourselves with "conceal - reveal" with ever diminishing returns. With no point(s) by which to orientate. We sink into oblivion...or fascism. Where there is life we may will hope. Hope is the hump of a camel throbbing between our thighs the time of a blinding storm. Is this to become camel/sand/man assemblage or a heroic fight against the odds? Can the two be disassembled? Would Sean Penn's "Into the Wild" be Malick's fragrant "New World" with masonihilistic bravado? 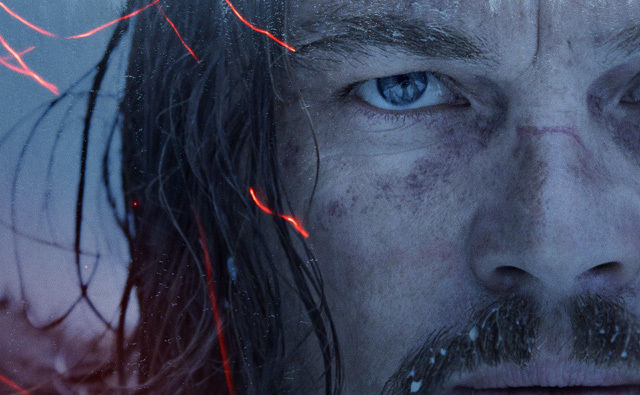 Is Inarratu's "The Revenant" some sort of survivalist "Death Wish" - a sadocolonialism in furs? What do such depictions of nature say of our nature...of our grasp on our reality? Can empathy only ever be subjective? If we are subject to nature, do we lose all objectivity? If we abandon all grasp on objectivity do we lose all hope for compassion? Is forgiveness to accept that we may be more than just beast? Is our nature only read in tooth and claw? Do lines of flight continue beyond a (our) vanishing point? Gilles Deleuze, Félix Guattari. Mille Plateaux. Is that with vanishing returns? Agree with "Without objective all hope is lost." Too few have clear objective, and the goal of too many is too small to encourage others to share. Any objective which does not take into account our critical interdependence is hopeless. "If we abandon all grasp on objectivity do we lose all hope for compassion?" It is very easy to read compassion as a purely subjective feeling which leaves the post-modern social atom lost in her atomicity. But compassion has within it the recognition that objectivity matters - the recognition that life cannot just be about us and our feels and wants and desires and jouissance. As long as there is compassion, there is hope, and there is an objectivity that speaks against the oppressive objectification of life as stock that you described in an earlier post. Not sure about the creaking of the ice. Need someone to explain that. It is an interesting sound, but can't see it as being a reason to be hopeful. I don't think in the quotation the hope lies in the creaking of the ice only rather in their desire to write it. Creaking ice is hope for the starving polar bear and we should feel empathy because in nature, all empty tummies rumble.